The file Tales of Middle Earth v.0.8.13 is a modification for Age of Empires II: The Age of the Kings, a(n) strategy game. Download for free. 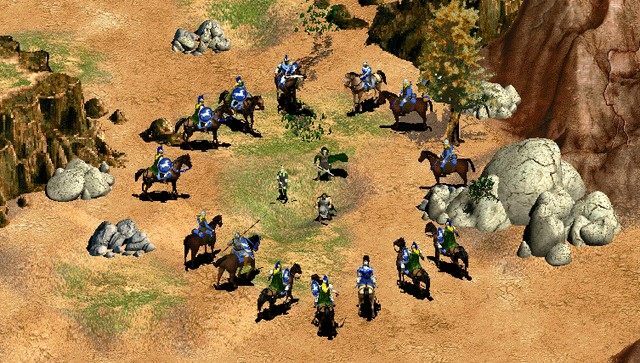 Tales of Middle Earth is a mod for Age of Empires II created by ToME-Team. It transports the game into fantasy universe from The Lord of the Rings. Play from the Fall of Beleriand to the Great Years and the War of the Ring. Choose from one of 18 unique factions. Guide the wise and fair elves - Lindon, Rivendell, Mirkwood, Eregion, and Lothlórien. Fall under the sway of the Shadow with Angmar, Mordor, Isengard, Dol Guldur, or Minas Morgul. Place your hope in the Men of the West with Arnor, Gondor, and fabled Númenor of old. Ride with the Native Men of Rohan, Rhovanion, Harad, Umbar, or Rhun. Battle on new random maps based on real Middle-earth locations. Research countless new technologies and decide the path of your race with faction choices. Will you ally with the Rohirrim as Isengard, or fall and become a Vassal of Mordor. The choices are yours. Forge alliances to supplement your armies with soldiers from other regions, or even call for the aid of Dwarves and Hobbits. Enjoy the rich world of Middle-earth as presented by one of the largest graphical modification ever produced for Age of Kings. Over a hundred buildings have been designed, including wonders based on famous Middle-earth landmarks like Orthanc, Barad-dur, The Golden Hall, or Elrond's Homely House. Likewise, nearly 70 new unit graphics have been added, including almost thirty all new units to appear for the very first time in ToME. Create that LotR campaign you always had in mind or play online against a friend! Designed to function in multiplayer, singleplayer, and scenario design.